We are officially in upgrade season! I am well aware of the daunting task of sorting through all of the different options for smartphones. There are just so many players in the game it can get overwhelming quickly. What follows is a simple breakdown of my TOP FIVE favorites phones. 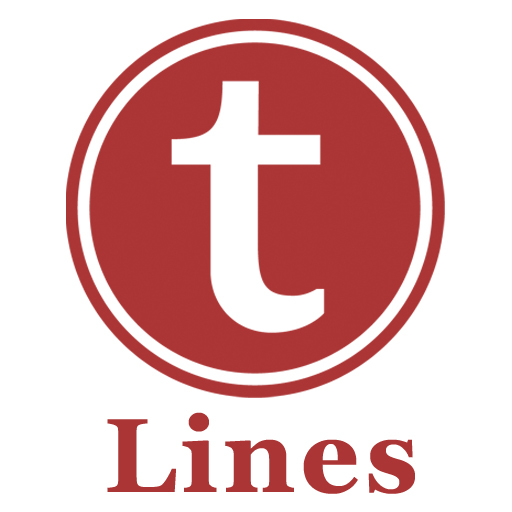 I’m including a few links to other reviews for each phone, to give you a well-rounded opinion of each device. To keep things simple here, I’m focusing on a few key features of each phone, which I’ve found to be important to the majority of consumers, from the tech-savvy to the casual user. So here we go! Disclaimer #1: This list is not in order of preference. I’m not awarding medals here, just giving a shorter list than you’ll find with the carriers. Disclaimer #2: I’m sticking strictly with the high-end smartphones. If you are upgrading, you can usually get a good deal regarding up-front cost, and the monthly cost will be consistent to what you’re used to. As a general rule, upgrading at least every two years is the best way to make sure you have a smooth experience with your phone. Things just change too quickly! If you want to stick with a Mid-Tier phone, definitely try to get your hands on the MOTO G, which is an amazing phone for $180! quality build, simple operating system, and small physical size (when compared to the actual screen size). The 3rd Gen Moto X was just announced in August. This phone is HUGE. 5.7 inches makes it a “phablet” and those who want the smaller handset should steer clear. The 2nd generation is still a very good phone, and smaller, so you’ve got options. The 3rd Gen Moto X did vastly improve the camera though, so if that’s important, bear it in mind (though it still is not as good as Samsung and iPhone). I had the iPhone 6 for a while, and I thought it was a perfect phone. Great size (4.7 inch screen). Great camera. Decent battery life. 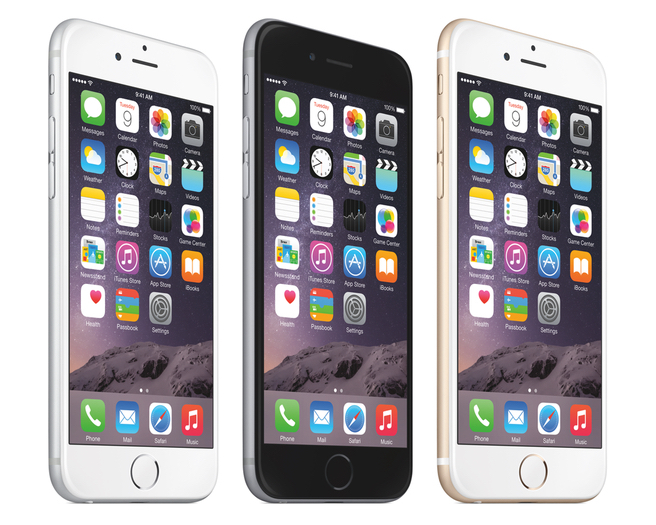 If you like Apple, the iPhone 6 is a great choice. I am currently using an iPhone 6 Plus, but that 5.5 inch screen is just too big for me! Apple announced their new iPhones on September 9th. As with all “S” models, the form factor has not changed. This phone looks the same as the previous models. They have vastly improved the camera with 12MP, and optical image stabilization (helps shaky hands take clear pics). They’ve added a 5MP front camera, and are using the screen itself to make a “flash” for selfies. the screen itself has been improved with the use of “3D Touch” which makes it so you can do different things when you press the screen versus just tap the screen (this tech is based on the Apple Watch screen). Overall it’s a good “off-year” for the iPhone, but if you want major changes, wait another year for iPhone 7. This has been my primary phone for the past six months. 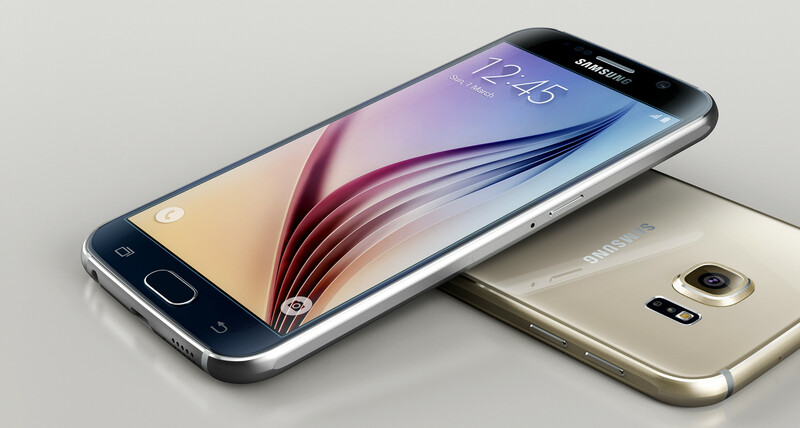 Samsung made a beautiful phone with the Galaxy S6. Metal and glass construction, it feels incredibly similar to the iPhone (almost too similar). With a 5.1 screen, it’s big but not too big. The operating system is intuitive, and camera is great. I particularly like the “wide-screen selfie” feature and that you can snap a photo by tapping the flash on the back of the phone (less cumbersome than finding the button on the screen. The Samsung Galaxy S6 also offers turbo charge (15min gets you 40% battery) and wireless charging, which is pretty cool. 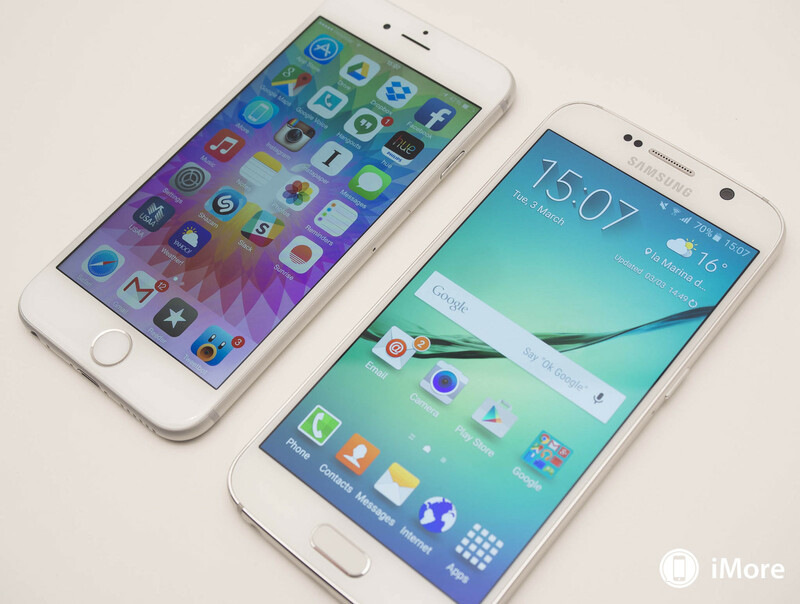 If you aren’t into Apple, the Galaxy S6 is definitely the way to go at the moment. 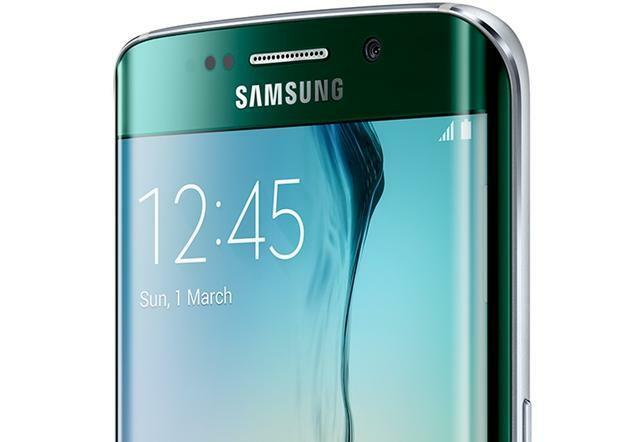 If you want something different, Samsung is also offering the Galaxy S6 Edge, which has curved edges. My experience with that device proved to me that the edges look cool but offer little in enhancement, and only make it harder to hold. 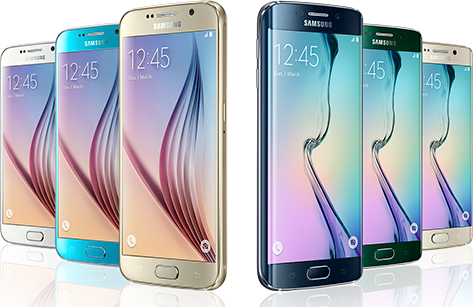 If you want something really big, the Samsung Galaxy S6 Edge PLUS just release, with a 5.5 screen size. Again it looks really cool, but for me is a pain to use, especially with the huge size. Finally we come to HTC. I used the HTC One (M8) for six months last year (that’s pretty much the longest I use a device). I loved the feel of the phone (all metal). The screen was brilliantly bright, and the device was lightning fast. But my big beef was related to the extra space used for the company logo on the front (my opinions can be seen here). You’d think they’d finally fix that with the M9, but that was not the case. 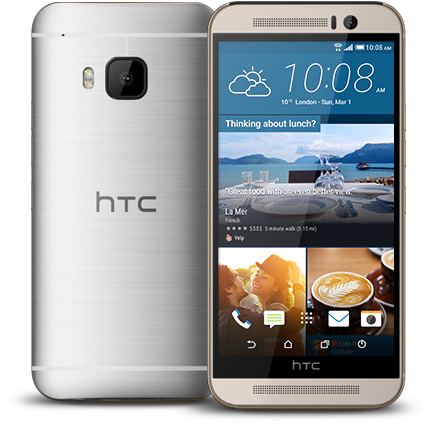 The HTC One (M9) is a minor improvement over the previous model. The camera was switched from 4 ultra pixels (which no one ever understood, including me), to 16 mega pixels. But lots of pixels doesn’t mean a better camera, and HTC has lost it’s way a bit here. Still, when compared to ANY mid-tier smartphone the HTC One (M9) and (M8) are heads are shoulders above in terms of picture quality. So as I knock on the camera, it still has a place among these top-tier phones. The HTC One (M9) also updated their operating system to adapt based on your current location. This functionality can be achieved through “launcher applications” like “Everything Me“, but HTC has it built it, which is actually a pretty cool thing. 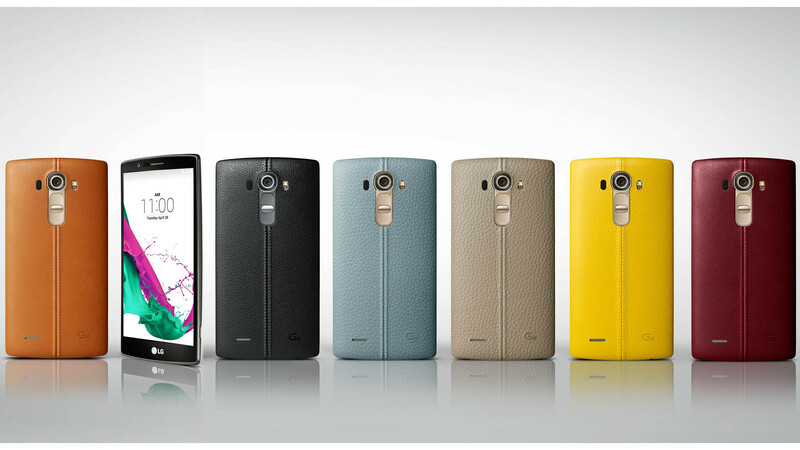 I imagine other smartphone makers will be looking at options like this in future models. Oh those giant smartphones!! The line between phone and phablet is roughly 5.5 inches. You have a few options. We’ve already talked about the iPhone 6S Plus, Galaxy S6 Edge Plus, and LG G4. 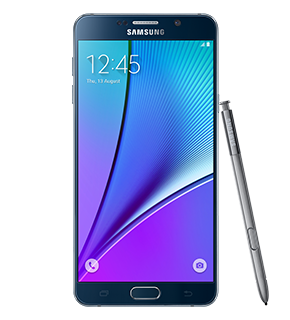 Another popular phablet worth considering, if you’re in the market for a big phone is the recently release Galaxy Note 5. They took the materials that built the Galaxy S6 line of phones (metal and glass) and blasted it to 5.7 inches. As always with the Note line, there is a stylus. This time around they have focused as much on the stylus as the phone, and my experience with it was great. In my opinion, any phone over 5.5 inches should have a stylus, so Samsung is leading the pack there. If you’re in the market for a new smartphone, you’ve got tons of options. Hopefully this list is helpful in sorting through what makes these high-tier models different from each other. In the end, there’s no right answer for everyone. Some live and die for iPhone; while others believe Android is the only way to go. Some say 5.5 inch Phablets are ridiculously large, but at the same time, I know many people who wouldn’t want any other size. So head to your nearest carrier and get these phones in your hands before you drop the coin, and I’m sure you’ll find something that works great for you! I have reached the end of my two week testing of the Basis Peak Fitness Watch. If you haven’t caught up with my “first impressions” review, click here first for a breakdown of the features of this device. The Basis Peak has definitely lived up to its category as a fitness watch. 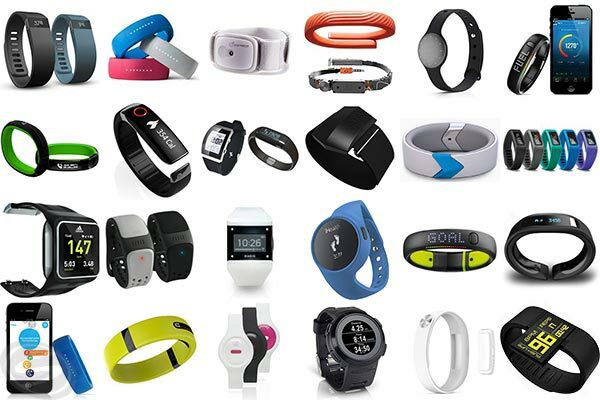 It’s much more than a typical fitness band, which generally counts your steps, calories, and maybe flights of stairs. A few fitness bands are starting to show actual clocks and collect or display heart rate data. I fall in the camp that says for a fitness band to be considered a watch it needs to look like a watch. Maybe I’m old-school. But I’ve asked around and that seems to be the general consensus. If it looks like a watch, it’s a watch. And the Basis Peak certainly looks like a watch. But it’s not a smartwatch, not by a long shot. It is the current expectation in the tech industry that even the most basic smartwatch must do several things, and do them consistently well. That’s it. Those three things are not optional any longer. The smartwatch that I usually wear is the original Pebble, and it is arguably one of the most basic smartwatches, but it does those three things consistently. 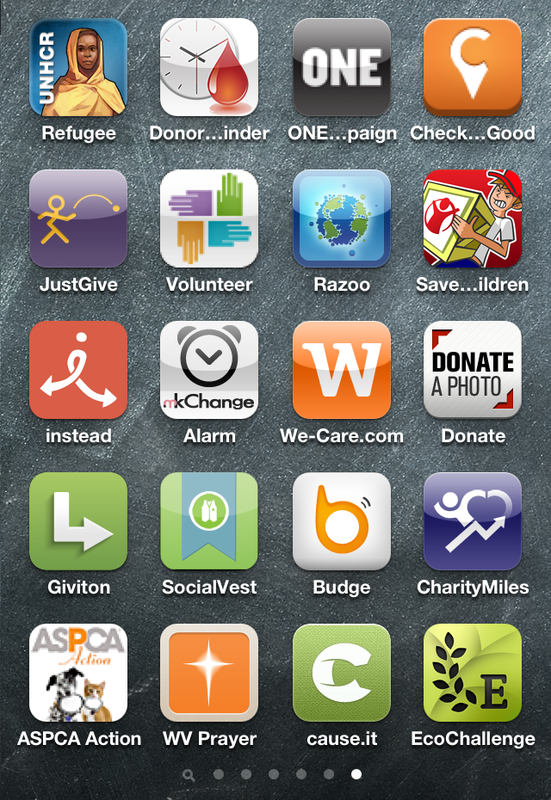 It also has apps for timers, weather, Evernote, and games. You can even track your Domino’s pizza order with it! Being that the Basis Peak costs TWICE AS MUCH you would expect that it would have similar “smartwatch” features. And while the device makes an attempt, it simply isn’t there yet. I found the watch could consistently receive incoming calls and texts, but nothing else. And this was only when paired to an iPhone. It was all but impossible to pair the watch with an Android phone during my tests. I made it work eventually, but for casual users, who want a “pair and go” approach for their device, this is not an ideal choice. So if the Peak is not a Smartwatch, you might be wondering what it does to justify its $200 price tag? 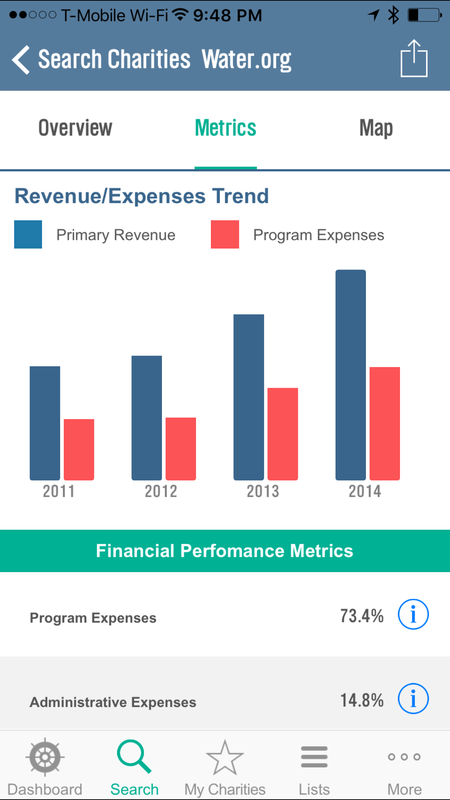 Simply put, it tracks your health metrics, and a lot of them. Steps are caught like any pedometer (no mileage calculated though). The device has an excellent heart rate monitor, which I found very useful. It also has sensor to detect perspiration and skin temperature. I guess I could see some value in the sweat sensor, but I live in Minnesota, and my skin temps are going to swing wildly just by moving between buildings and vehicles, so I’m not sure why I should care about that. Data is only good if you can do something with it. And that brings me to the last feature of the Peak Fitness watch that I found useful. Most fitnessbands/smartwatches make some attempt to track sleep, but the Peak does this better than any other device I’ve used. Being able to look at my sleep metrics, which were broken down between Light, Deep, and REM sleep was helpful not only in determining if I was getting enough sleep, but whether I was getting the right amount of each type of sleep. I found myself trying to get to bed earlier to get more quality in my sleep, and that turns a gimmick into a tool. Aside from the features on the watch itself, Basis offers a website and smartphone app. 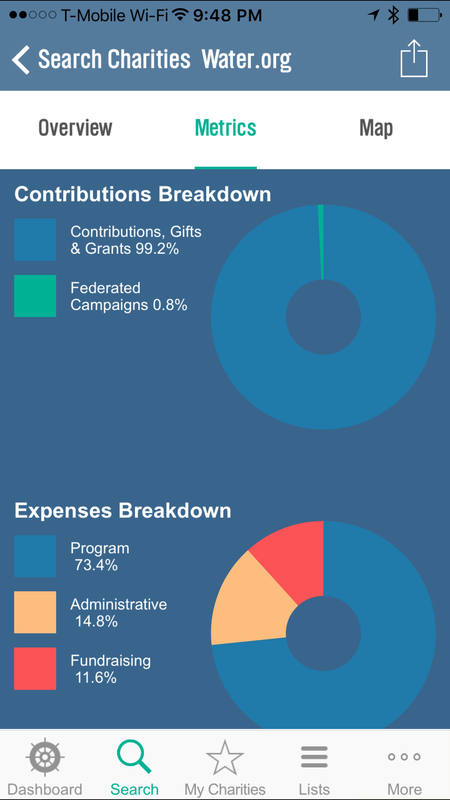 I found the website more useful than the app in general, having more real estate to show the data over time in effective ways. The company offers various “goals” to shoot for, but since there is little interaction with the watch itself, other than telling you when you’ve “met your goal”, I found that more gimmicky than useful. In the end I found tracking over time less important than tracking right in the moment. I walked a few flights of stairs, entirely winded, and I could actually check my heart rate, in real-time, and that’s pretty useful, if you’re trying to improve your health through exercise. The Peak went to market as a Fitness Watch. Its main feature was the Heart Rate Monitor, and that is the thing it does best. I tested the monitor against a doctor validated monitor and found it to be very accurate. Not exactly the same, but close enough to use it as a guide. I have used the heart rate monitor more than anything else with the Peak, and I know I will miss having that feature when I return to the Pebble this week. The rest of the Fitness Watch metrics are nothing to get excited about, but they work. It tracks steps pretty accurately, if you’re one to shoot for those 10,000 daily steps. The fact that it is waterproof is a huge plus, and should really be a standard feature for this type of device. The battery life came through at roughly 4-5 days between charges, which is great. It also has a nice charger, using a magnet connection for easy charging, without any case to remove or small connection devices to lose. The watch itself is very comfortable. The silicone wristband can pinch a little when you strap it on, but once in place I barely know it’s there. It needs to fit snugly to ensure accuracy with the HR Monitor, so comfort is very important. It’s not a stunning watch by any stretch, but it’s also not an eyesore. It works as a watch and as a Fitness Tracker. As stated, it isn’t a Smartwatch. I found all of the functionality that was added to the device via a software update in early February to be inconsistent at best and at times virtually impossible. The watch connects to the smartphone via Bluetooth and after some initial problems with my iPhone 6 I got that syncing very smoothly. But only voice and text information came to the watch, despite ensuring the settings were turned on to have emails and calendar updates come too. My attempts to sync with an Android device (HTC One M8) were incredibly frustrating. Even after a software update came during my trial claiming to “resolve Bluetooth sync issues” I still could not get the device to pair. I’m in the business of finding devices that are so easy just about anyone can use them. 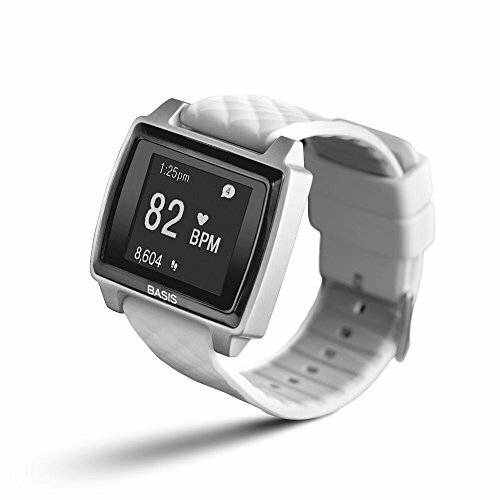 The Basis Peak failed that test on all levels in terms of its “smartwatch features”. In addition to those issues, the only other problem I have with the Peak is related to its price. For $200 it should be able to do more than it does. Things like showing the current temperature would be a start. You get the date when you tap the screen, but that’s it. There are no buttons on the device, which is actually kind of nice, but it took me a google search to figure out that you had to slide up and down along the right edge of the watch to turn on the backlight. The device is marketed as being “automated” and thus the premium price model, but it is simply too far behind with some basic features to justify the cost. I could deal with $149, but $200 is too much. I sort of love and hate the Basis Peak Fitness Watch. Over the course of my two weeks of testing I found the device very useful at times, and very frustrating at others. The 24/7 Heart Rate monitoring and Sleep Tracker actually drove me to change some of my habits, including giving up caffeine, and working harder to be more active. I can’t over-stress how important that piece of the puzzle is when looking at fitness watches or fitness bands. They MUST drive change in your habits, or they are really just an over-price clock. And in that regard the Basis Peak was a great success. A greater success than 2 years of wearing a Fitbit Flex and Pebble smartwatch ever were. Is it worth $200 for those features? That’s really up to each consumer. But if you are in the market for a fitness watch that will help drive behavior, the Peak is actually a decent contender. But if you are in the market for a smartwatch that also has a fitness element, this is not your watch. Not at all. Certainly Basis will get their act together at some point and software updates will improve the notifications element of the Peak (after all, these features have only been live for three weeks as of 2/17). So only early adopters who can put up with the frustrations of inconsistency need apply. I’m one of those people, and even I was pushed to the breaking point when trying to sync to Android. The Basis Peak is a great Fitness Tracker and has a place among the current crop of devices trying to give us all health data on the go, to keep us better informed about how our choices impact our health. Yet these devices are only as good as the value you place in them though, so bear that in mind as you ponder your choices. 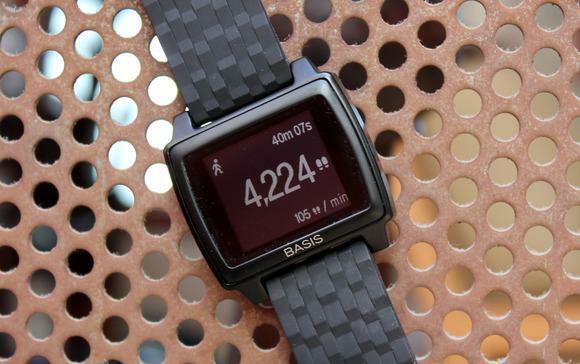 The Basis Peak is not a great Smartwatch, so steer clear until they fix those features. For me this one is still over-priced for what you get. 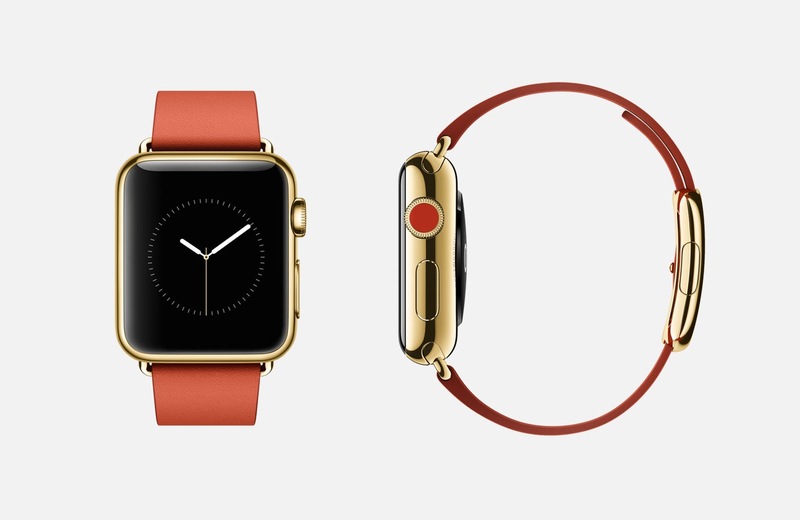 And if I really want to go that route, I’ll just wait for the Apple Watch in April. Just when it seemed that the smartphone had eliminated the need for the old wristwatch, along comes the tech industry to reinvent an age old tool. Smartwatches once again dominated the Consumer Electronics Show (CES) in 2015, showing that wrist-based tech is certainly on the rise! From the simple fitness bands like the Fitbit Flex and Misfit Flash, to the souped-up smartwatches like Moto 360, Samsung Gear S, and the forthcoming Apple Watch, the tech industry is very interested in slapping something on your wrist. But how do you know what is best for you? Do you even need one? Well, all of that depends on what you value. Do you want fitness metrics like steps, miles, elevation, heart-rate, and calories burned? Do you want a wristband that interacts with your phone to show calls, texts, emails, and calendar notices? The Wrist Tech industry is very diverse, and actually pretty overwhelming when you really start to see how many options are out there. I recently got my hands on one of the lesser known devices. Based on my initial experience, I’d categorize it as a “fitness watch”. It’s called the Basis Peak, and these are my first impressions. First off, the form factor. The Peak is not too big, and not too small. Weight is also minimal. It has a two tone LCD touchscreen which works very well. It comes with a rubber wristband that I find comfortable. This is important because to get accuracy from the heart-rate monitor it’s essential that the watch be strapped tightly to your wrist. Battery life has been very good. I’m getting about 3 days of life (from the promised 5 days), but I have been using it a lot. Remember that the high end of battery life is usually found through minimal use. But 3 days isn’t bad, especially for a device that does 24/7 tracking. The Peak is waterproof. So you can shower and swim with it on and there are no worries. Finally, the device will work with both Android and Apple phones, which makes it a rare breed indeed. Overall I like the look and feel of the Basis Peak. So let’s talk about what this Fitness Watch does. First and foremost, this device is for fitness. It is not trying to compete with the Smartwatch category, at least not directly. The Basis Peak offers a few fitness metrics: steps, calories burned, and heart-rate (we’ll get to that last one in a minute). Noticeably missing from the device are the ability to track mileage (a significant omission), and elevation (which would require an altimeter to work). Many other fitness trackers offer both of those features, and for a premium cost device (the Peak will set you back $200) they really should be included. Though the metrics are limited, it’s what the Peak does with the data that is pretty cool. The device sells itself as fully automated. You don’t have to tell the device when you go for a walk, take a run, or head off on a bike ride. The device can tell what you are doing, and the device responds with an icon for the activity, and begins tracking the activity as a “work out ” session of sorts. This is a great feature for people who like to track their metrics during exercise, especially those serious runners and bikers. And the key to solid metrics is the heart-rate monitor. T his is my first experience with a fitness band offering constant tracking of an actual health element. It’s one thing to see if you can get those 10,000 steps in every day and the resulting feeling of accomplishment. It’s quite another when your fitness watch can give you insight into your actual health in real time. I’m quickly discovering that I am pretty out of shape. I know that by watching my heart rate skyrocket, even during a long, slow walk. I am excited by the idea of mobile technology like a fitness watch helping people make better health choices in the moment. The Peak is already doing that for me, after just a few days. 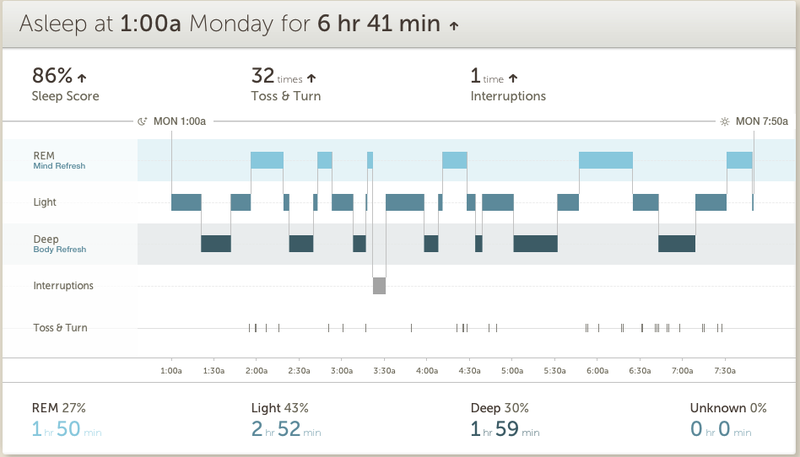 You didn’t know how important it was to track your sleep patterns, did you!? According to the fitness band/watch industry it’s very important because the feature is pretty much standard on anything strapped to your wrist. I’ve used the FitBit Flex sleep tracker for a while and I didn’t find it terribly useful. That particular tracker only tracked sleep and awake, using “micro-movements”. So it showed me when I moved around in my sleep, but the data didn’t get any more specific. The Basis Peak is different, and it’s all because of the heart rate monitor, and something the company calls Body IQ. The device offers several metrics for sleep tracking including: Light Sleep, Deep Sleep, REM Sleep, Toss/Turn, and Interruptions. The phone based app also gives information to help you understand how much of each type of sleep is typical, so you have an idea if you are getting enough of what you need. This is the first fitness watch that I’ve used where the sleep monitor actually tells me something useful and something I can take action on. When the Basis Peak first shipped it was strictly a Fitness Watch. It could do everything I’ve already described and nothing else. Then came the “smartwatch update“. This update was promised to early adopters and the company delivered recently with an update that allows Smartphones to communicate with the Peak, showing incoming calls, emails, texts, and calendar appointments on your wrist. 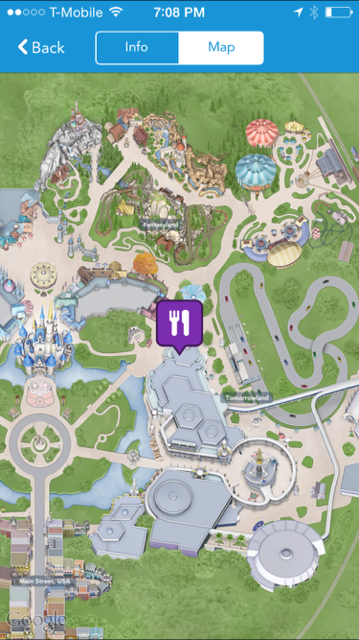 The features are still pretty glitchy, which isn’t surprising because it’s so new. I tested both an Android phone and an iPhone and both were inconsistent with delivery of calls, texts, emails, and calendar appointments. Also the “manual sync” button in the phone app of both devices often resulted in an error saying “sync failed”. These issues definitely make the “smartwatch” element of the Peak less reliable. Bottom line, if you want a full smartwatch experience, the Peak is not the device for you. At least not until they’ve worked through many of the bugs that are currently plaguing it. 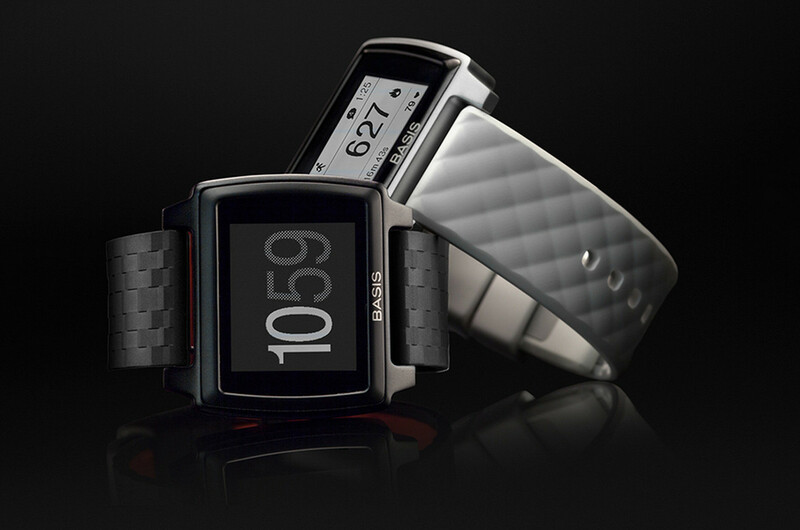 The Basis Peak is a Fitness Watch. That’s the most important thing to remember. It’s trying to take on some of the other Smartwatches out there, but it’s just not there yet. The fitness metrics offered by the Peak are pretty standard, and nothing to get too excited about. What I am finding most useful is the Heart Rate Monitor and enhanced Sleep Tracking. In the end, the purpose for wearing a fitness watch or fitness band is to help you make better choices about your health, and the heart rate monitor is proving an excellent tool for me in that regard. The Basis Peak will certainly get better in time. The company promised a software update and they delivered. This is no small feat, especially for a smaller company. This builds customer trust and that is essential for the fledgling industry of Wrist Tech. 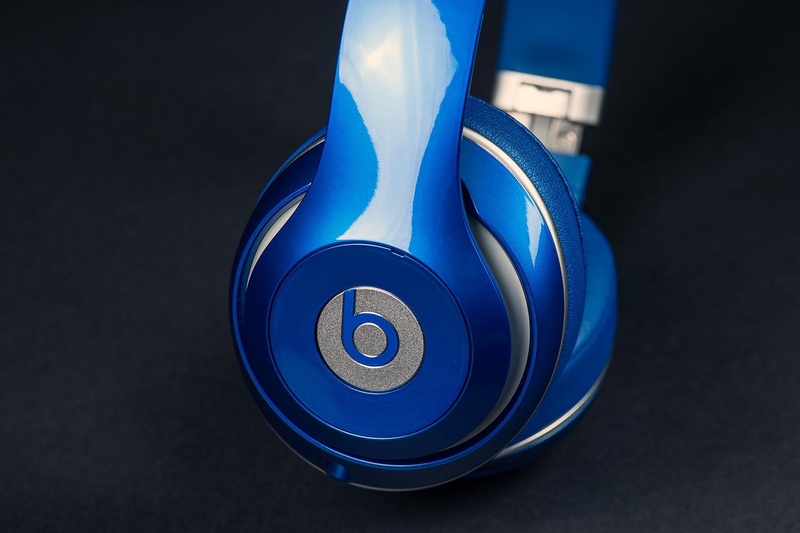 The device currently cost $199 and comes in a couple colors. 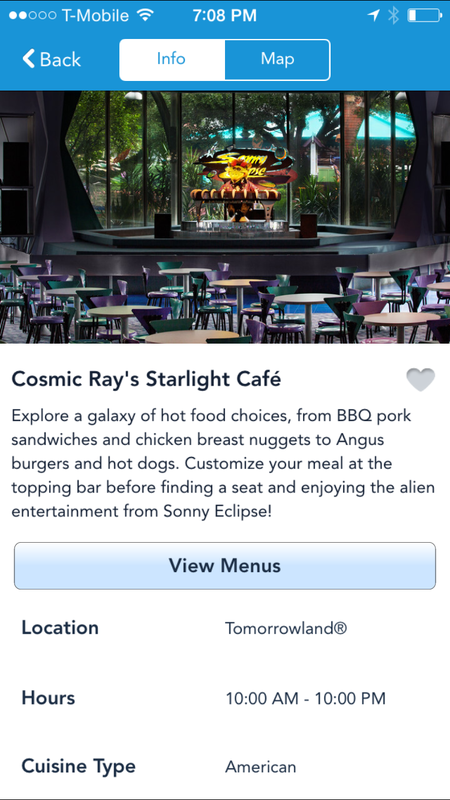 You can swap out your wristband to jazz it up too. My opinion, based my first impressions of the Peak, is that it is overpriced for the features it offers. A $200 fitness watch should at least offer mileage tracking. It also wouldn’t hurt to put in that altimeter so users could track elevation (I used to challenge myself to take the stairs!). At a premium price, it should offer every feature possible. The only justification for the high cost would be the inclusion of “smartwatch” features, which the company is starting to offer. 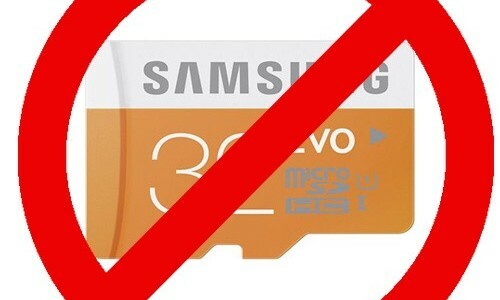 But the phone connectivity is still unreliable, and so be prepared for some frustration if you plan to use those features. Mobile Health is taking off, and fitness bands and watches are leading the charge, providing valuable health data on your wrist (and your phone). 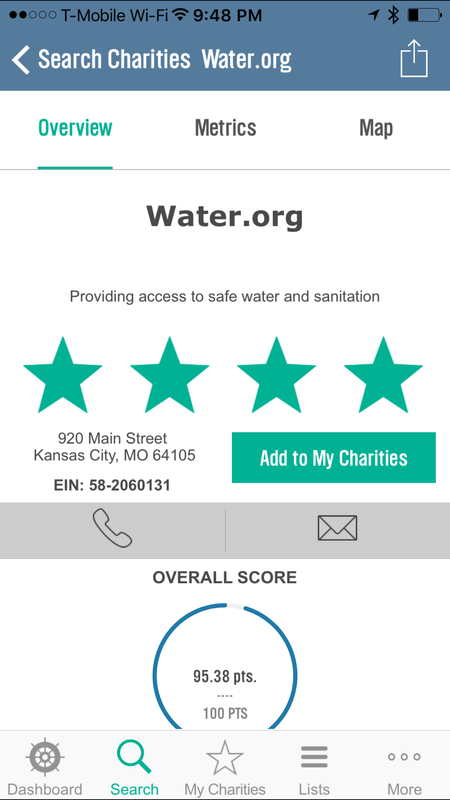 This is technology that truly has the potential to change lives. Unlike the majority of tech updates (tablets, phones, and gaming consoles), wrist tech is often focused on health. At the same time these devices can keep you connected to the things that you value, in a way that involves minimal interruptions from technology. 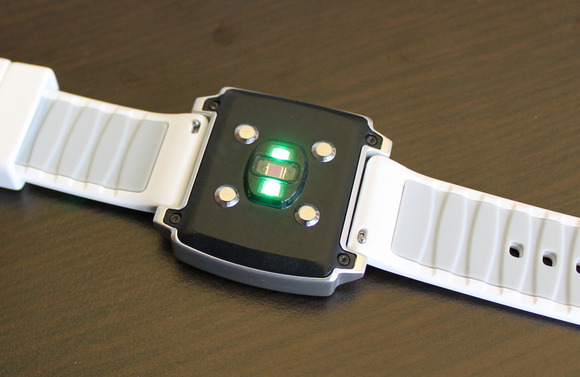 These two elements in partnership on a small device like a wristband will revolutionize how we communicate with our friends and family, and with our doctors too! Great tech should be easy and life enhancing, and that’s the direction we are heading! The newest iPhone is out and people are clamoring to get their hands on it. The fact that Apple sold over 10 million units in the first weekend seems to indicate at least some level of consumer interest. If you google iPhone 6 you will find no shortage of reviews about Apple’s newest phone offering. You’ll see things about design and durability. But, like many tech sites, many of these reviews can become quite technical. What you’ll find here are my first impressions of the iPhone 6 Plus, and how I think it can make life easier, or harder, as the case may be. The iPhone 6 Plus is BIG. I’m saying that from the perspective of a guy who used a 5 inch HTC One (M8) for a period of time, and thought that was big. If you are at all leery about having a huge phone, read no further, the iPhone 6 (with it’s 4.7 inch screen) is your best choice. But if you are okay with a phone that won’t fit in your pocket (unless you bend it!) and a phone that will constantly require a second hand to use it efficiently, read on. So how does the iPhone 6 Plus make the phone experience better? First off is the design. Compared to the Note4 or LG G3 (two competing phablets), the iPhone 6 Plus is a beauty. It’s super thin. It’s smooth aluminum back and rounded corners are an absolute delight to look at and it feels great in the hand (though I recommend a case to avoid it slipping out of your hand, here’s mine). The long held design of the screen (with an app bar at the bottom, and stat information at the top) make much better use of the space compared to rivals, which only makes the screen seem larger and more useful. The phone has a larger battery, which should allow for much longer periods between charges. Only time will tell though. The device also has an improved camera with image stabilization. This could be a big deal. In simplest terms, the camera in the iPhone 6 Plus is designed to help those of us with shaky hands. Not a feature to underestimate. Finally, the iPhone 6 Plus has some innovations in the way the screen works, taking full advantage of the larger screen. 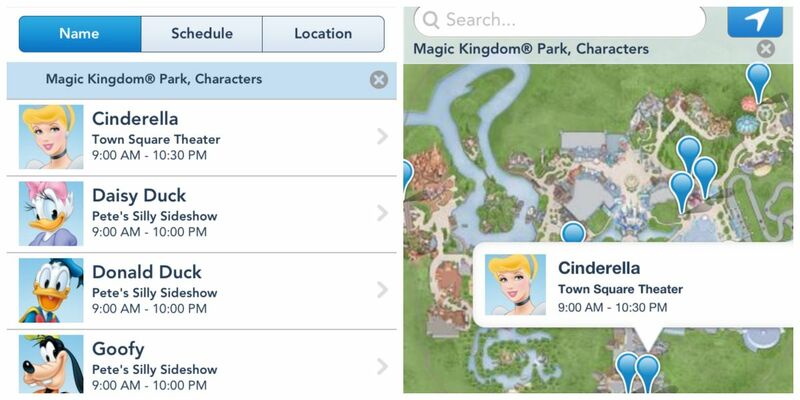 This means that some apps (like email and messages) will actually look different than the apps on the smaller iPhone 6. Also when the phone is in landscape mode, the “app drawer” will move from the bottom to the side. Seems funny to me that the iPad Mini doesn’t even do that. So there are no shortage of good things going on with the iPhone 6 Plus, but the pendulum still swings both ways, and this is where the device starts to worry me. While beautiful in design, the iPhone 6 Plus has one “big” problem. This device is huge. But here’s the trick; it’s supposed to be. It’s a phablet, which is the horrid word somebody came up with to describe a device that is part Phone and part Tablet. When the phablet device came into it’s own with the Samsung Galaxy Note, the device had a very specific purpose. It was a device competing more with the 7 inch tablets than against 5 inch phones. It was and is a device for “power users”. You know the corporate types that used to live in their blackberry screens. The phablet is trying to be more than a phone. In terms of regular consumers, the phablet is a good choice if you don’t already own a tablet device (iPad, Nexus 7, etc.) If you don’t want two devices, the phablet bridges the gap (which is even more relevant when cost is factored in). And that’s what the iPhone 6 Plus is. It’s a phablet. But I worry that through a combination of factors, both on the part of Apple and consumers, people don’t realize this. And that could be a problem down the road. I’ll explain. By launching both iPhones together, Apple made it look like they were selling two sizes of the same device. When in fact they are selling the next iPhone (iPhone 6) and their first phablet (iPhone 6 Plus). People jumping from the 3.5 inch screen of the iPhone 4/4S or the 4 inch screen of the iPhone 5/5S are in for serious culture shock when they try to wrap their hands around the case holding the massive 5.5 inch screen of the iPhone 6 Plus. I believe that Apple set the precedent a year ago when they released the iPhone 5S and iPhone 5C at the same time. The iPhone 5C was clearly the silver medal to the gold of the iPhone 5S. So most people think the same is the case with the current generation of the iPhones. That reasoning would lead people to conclude the iPhone 6 Plus is the one to get if you want the “best” one. And that’s why the backorders for the larger device stand at 3-4 weeks, where you can get your hands on the iPhone 6 in 7-10 days. And after waiting all those agonizing weeks, these new iPhone 6 Plus users are going to realize that their new phone requires two hands for most of the things it can do. And while we might think that’s a small thing, that’s probably because we’ve grown so accustomed to single handed cell phones we take that convenience for granted. Both iPhone 6 models have a new feature to help address the increased screen size, and it’s called Reachability. Basically you double TAP (not click) the home button and the screen lowers itself about 1.5 inches, bringing the top of the screen closer to your waiting thumb. On the iPhone 6 this functionality works very well. But based on my hands-on experiences with the iPhone 6 Plus, based on where we generally place our hand when holding the phone, the size makes it virtually impossible to reach either the home button (for the tapping) or the top of the screen (to pull down notifications). You must either move your hand down or up, or use your other hand to tap the home button. And that is a problem that “reachability” on the iPhone 6 Plus didn’t fix. So think carefully as you consider the iPhone 6 Plus, over the iPhone 6. While you get increased batter life, a better camera, and a larger screen, you also must contend with a massive phone in your pockets and in your hands. That’s my biggest beef with the iPhone 6 Plus. It’s so much like the iPhone 6, just much much bigger. If you are an iPhone user, there are some new posts coming in the next week that you might want to take a look at. I will be doing a “first impressions” review of both the iPhone 6 (my new phone), and the iPhone 6 Plus. My reviews are always written with the casual user in mind, so if you aren’t a tech geek like me, but are debating about Apple’s new offering, hopefully I can help you out a bit.